One of the great highlights of my 'Coasts and Cols' tour was the diverse cultural shifts; as I rode from Spain into the South of France, and then up the western coast. From the vast vineyards of Bordeaux, to the sleepy villages of Brittany; it was a mix that provided great interest, and a distraction from my aching legs. It was these two highlight experiences that provided my inspiration for my 2017 trip. 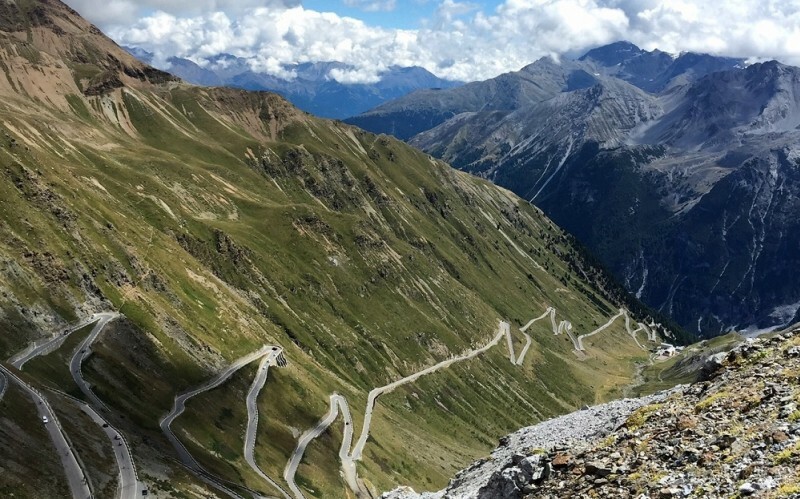 How can I cram as much cultural diversity, and as many mountain passes as possible, into one exhilarating tour? On this tour, I begin with the guys from GripGrab in Denmark; then travel down through Germany to visit my sister in Villengen. From there, it's into the mountains to visit relatives in Merano (South Tyrol). Then finally, I head across the South of France to the Corbieres, where my good friends Gus and Sarah Farmer are based. Andorra has always been a mysterious country to me - an island in the mountains. I've been keen to visit it for some time, and the Salvador Dali Sculpture in Andorra la Vella seems like a fitting place to finish. The sculpture symbolises the 'Nobility of Time'; suggesting how time rules everything, and you should make the most of every minute you have. Similar to the 'Coasts and Cols' tour, this would be a fully self-supported bike touring / bikepacking venture; wild camping en-route, and embracing the elements. At this stage, this is all a provisional plan. Ideas change, commitments evolve, and plans develop.